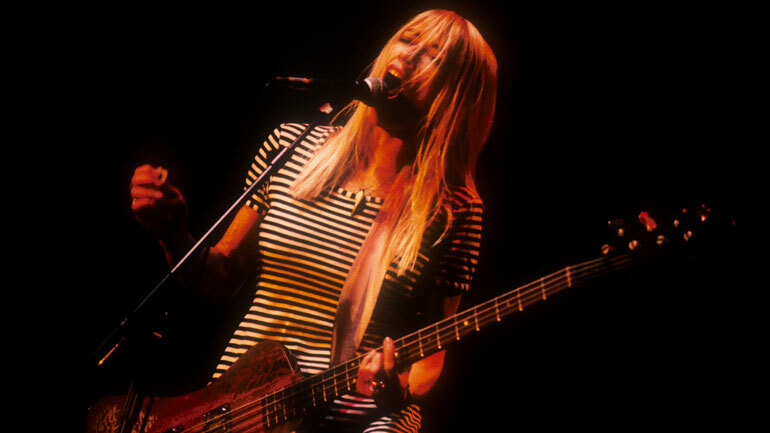 Kim Gordon: "Lana Del Rey Is A Female Chris Isaak"
The former Sonic Youth icon takes aim at the "weird and affected" singer, and a host of other topics in The MOJO Interview in our latest issue. LANA DEL REY has probably been called worse, but according to Kim Gordon the singer is – damningly – a “female Chris Isaak”. Speaking in this month’s (April 2015/ # 257) MOJO Interview, the former Sonic Youth member continues the dissection of the Video Games singer she started in her recently published autobiography Girl In A Band. Asked by David Fricke to compare her respect for Madonna in the 1980s – Sonic Youth covered Into The Groove (below) in 1988 under the name Ciccone Youth – with her attack on Del Rey, Gordon witheringly compared the younger artist with the Wicked Games crooner. The source of Gordon’s displeasure are Del Rey’s comments about feminism, quoting the singer as saying "I'm a feminist. I believe women can do anything they want." “Yeah, of course. Anyone can do whatever they want. You still have to take responsibility for your personal actions as a female,” explains Gordon. Get the latest edition of MOJO now for the full interview, including Gordon’s musical education, Sonic Youth's fate now her marriage to bandmate Thurston Moore has ended, the band’s kinship with Nirvana, her book and more. The new issue of MOJO also comes with a free CD featuring a host of contemporary acts including Laura Marling, White Denim and Sun Kil Moon covering tracks from Led Zeppelin’s Physical Graffiti. Additionally, a limited edition vinyl version of Physical Graffiti Redrawn is also available and copies can be pre-ordered now, while stocks last.